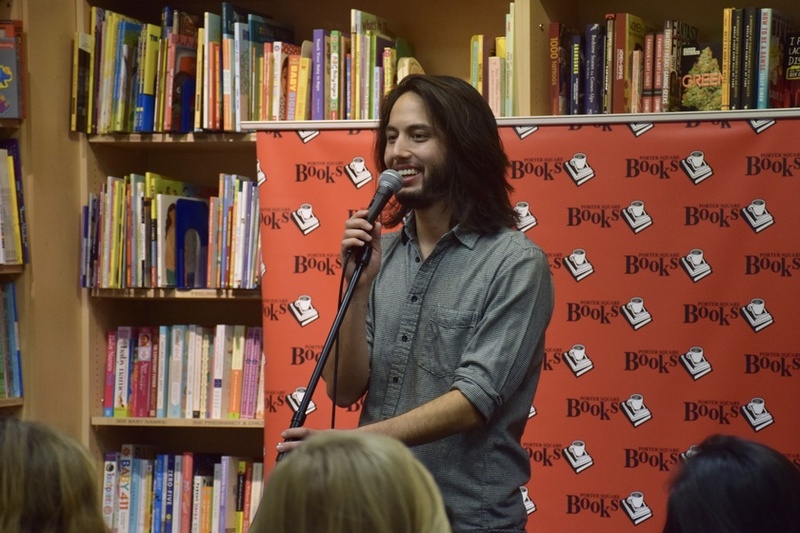 Ellis J. Yeo Phil Kaye, acclaimed spoken word poet and YouTube sensation, performs in Porter Square Books on a snowy night. As snow howls past the large window panes of Porter Square Books, dozens of young people gather in the back of the shop’s warm interior. They fill the chairs and sit cross-legged on the carpet, waiting for acclaimed spoken word poet and YouTube sensation Phil T. Kaye to perform selections from his new book, “Date & Time”. A comfortable silence fills the space as Kaye surveys the room, running a hand through his shoulder-length chestnut hair before launching into a story about the sweltering heat in the middle of summer. After the performance, FM had the chance to sit down with Kaye to discuss his work. 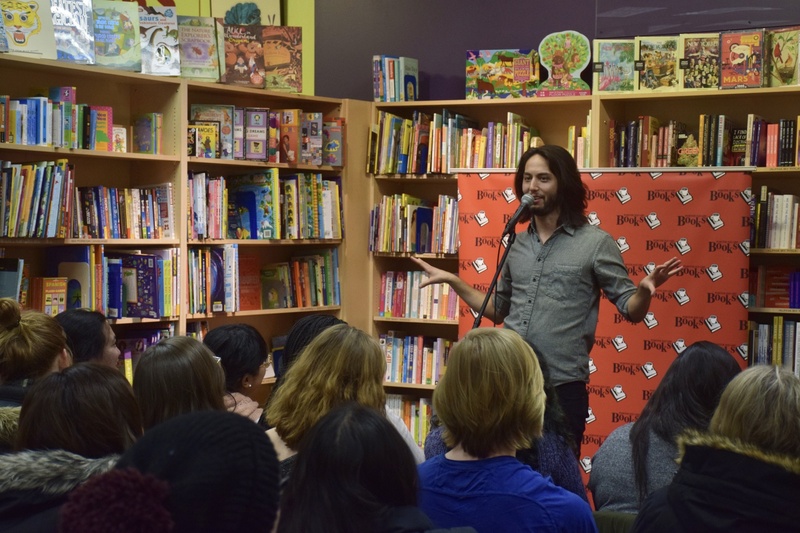 In his new book, Date and Time, Phil Kaye explores a pre-internet childhood, his half-Jewish, half-Japanese heritage, and people he has loved and lost. FM: What was your first experience with slam poetry? PTK: The first time I saw spoken word poetry, I was 17 years old. I saw a student get up and perform who was my age, and I remember feeling like, wow, this is an option? This is a possibility? The idea of getting to talk about whatever I wanted to talk about, using all the tools available to me, my body, my voice, was really freeing and really daunting. FM: This is your first time publishing a collection of written work. What do you see as some of the differences between spoken-word poetry and written poetry? PTK: The distinctions are becoming blurry and walls are coming down. I think the term ‘spoken word poetry’ has often been used to marginalize writers of color and delegitimize some of their work. To me, when I was first drawn to it, I was drawn to the immediacy of the work. Live poetry made me feel in a way that I wasn’t getting when I was on the page. It is an open question, ‘what is spoken word poetry.’ I don’t know if there’s a good answer. FM: You have a distinctly gentle style of performance, which is very different from a lot of slam poets. How did your style develop? PTK: To be able to be in a room and to hold that room in silence, it can be a very powerful thing. Particularly in an age where people are very bombarded. There is an expectation of performance poetry that it has to be really intense, and kind of this barrage feeling. I don’t think there’s a right way to perform, but I’m frankly kind of a quiet person, and a person who likes to think a lot and ponder a lot. So how that translates on stage is [to be] a little quieter, but to still hold the stage. FM: A lot of “Date & Time” is based on your childhood experiences. What would you say to your 13-year-old self today? PTK: Thirteen years old, I think I was in seventh grade, which was my toughest year. I didn’t know who I was, didn’t know who my friends were, and I was trying to be friends with people who didn’t really like me very much. It’s a big world out there, and you are going to find your people. And you also are going to find yourself. It’s okay that you haven’t figured it out yet. So I would have been like, take a deep breath, it’s all going to be okay. FM: In addition to writing and performing poetry, you are one of the founding members of Project Voice, a program that helps expose students to poetry. What do you hope young people are able to take away from writing poetry? PTK: At its core, I think what is so rich about poetry, particularly spoken word poetry, is the permission to explore the self. Particularly in middle school and high school, that can feel like a radical act. To do it both privately and publicly, and to be heard for being yourself, as messy and mutable as that will probably be. I look back at old poetry of mine and it’s not the way I think now, but that’s part of the process. To me, that’s the biggest hope. FM: Do you think everyone has the capacity to be creative? PTK: Absolutely. It depends on how we define creativity, but if we define it as your singular take on your existence, which is something only you can tell us, then absolutely all people can be creative. —Magazine writer Margaux R.E. Winter can be reached at margaux.winter@thecrimson.com. Follow her on Twitter at @MrewGnu.